About minimalism and letting go. For the past few weeks, I have fallen into the trap (again) that everyone befalls at multiple points in their lives. The trap of putting living life on hold and falling into the endless cycle of worrying about money. Money is a tricky thing. It enters your mind and takes root, and it requires great force not to allow the roots to delve deeper and deeper into your body and eventually get under your skin. And while money was very easy for me to dismiss in terms of buying things and acquiring social status symbols, it nearly all together consumed me when it became the one thing holding me back from what I thought I wanted: Freedom. After all, I am human. So this blog post is a recap of what ensued the past few weeks, where-in I catapulted from practicing minimalism, to searching for financial independence, and then returning to minimalism and letting the rest go. One step forward, two steps back, and onward with the cycles of everyday life. I’ve written endlessly about my transition from being a typical compulsive consumer representative of middle class America to being a loosely defined minimalist. A common misconception people have about minimalism is that it requires you to get rid of all your stuff and live with very little. I like to embrace the concept of getting rid of the excess stuff, and keeping the things that hold meaning or things that you love. Our home is far from bare, but I think we’ve done a pretty good job stripping it of its excesses. If it doesn’t pull at our heart strings, it is donated for someone else who could love it more. What you learn from minimalism is that it is a constant reassessment of your life, and as you rid yourself more and more of the excesses, it becomes easier and easier to realize that there are far greater and important things in life than just stuff. So I entered a stage where I was reassessing other aspects of my life, and I became interested in a community practicing financial independence. 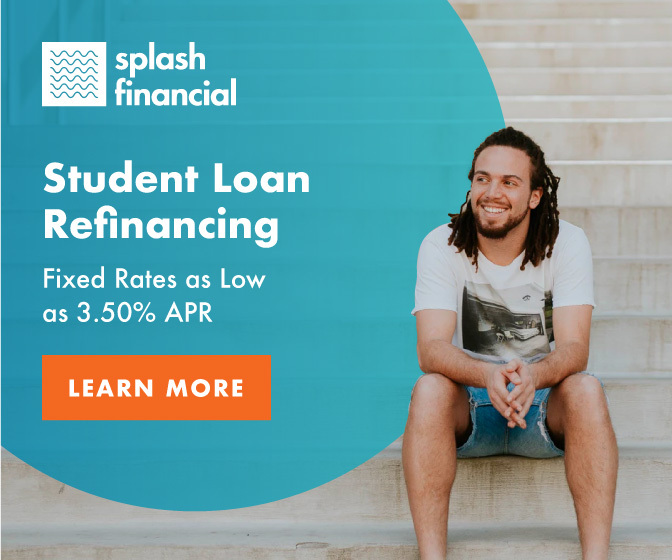 As I dug deeper into the specs of the FI community, I was enamored by this idea of financial freedom, and the one thing holding me back from said freedom, is an already previously mentioned and endlessly bemoaned massive student loan debt hovering above our heads. Now we’ve done a great job controlling this student loan debt, decreasing it from our original 25 year plan, to 10 years, and currently, we are on track for 8 years of pay back. Not bad for something double the amount of a mortgage for a five bedroom mansion in other parts of the United States. But I digress. In the past few weeks, this student loan debt had the upper hand and did an equally great job controlling me. I came upon the realization that we could save a year and a half of freedom by downsizing our current home. When Mike and I first talked about moving in together, we dreamed about living in a loft. When we started to look after I graduated from dental school, we miraculously found a space immediately, located in Orange County approximately equidistant from our two jobs. (“Approximately” because he will adamantly insist that his is a few miles farther than mine. Fair enough.) We fell in love with it immediately, and there was no going back. I don’t even think I thought through the pros and cons. The heart knows what it wants, I guess, and there were no doubts in our minds that we could be happy here. We happened to be the first people to respond to the advertisement and even though there were other applicants, we were given the first opportunity to snag the space. Snag we did. We’ve been living in this loft for almost a year and a half, and it has been our dream space. 1600 square feet of space and 3 floors for a couple seem excessive, but it’s what we love. We are introverted and usually spend our time on different floors of the house, chasing our own interests and hobbies. We come together on the second floor to watch football or play board games, and we love to host parties and dinners for close friends and family. We often joke that we are so lucky to come home to a vacation home every night. So we’ve been practicing minimalism, a perfect example to show that even though a massive loft is a thing, and it may seem excessive for two, there is forgiveness in the practice because it allows you to keep those that you love. It’s not about getting rid of as much stuff as humanly possible, because it is inhumane and impossible to lead a happy life with deprivation from the actual components that make you happy. But a life of deprivation is what I started to consider. I found that we could save about $1000/month if we downsized our home, which multiplied by twelve months per year, then extrapolated out to five years, and we are free at age thirty-four instead of thirty-six. I became obsessed about searching for a space that would fit our needs and cut the costs. I would wake up every morning and refresh the Zillow page that was left open on my computer screen from the night before. I was prowling the internet for deals, and killing myself slowly with the stress. I eventually found two contenders that I liked, given the circumstances. One was a vaulted ceiling loft with a deck situated right on a lake. You walk out of a sliding door that spans one wall of the space onto a wooden deck where you can hang your feet into the lake filled with minnows and ducks. All it required was cutting the size of our space by more than half, demoting Mike’s Lotus from a garage to a covered parking spot, and moving farther away from both our jobs to a neighborhood that is old and less ideally situated and more un-kept. But the space itself was nice (so long as you didn’t step outside), and I could live in the smaller square footage. The appliances were all new and the internal was completely renovated and we would be the first people to live in it after the renovations. The second consideration was a beautiful studio apartment, albeit quite small, less than one third the size of our current home (I think it was listed at 478 square feet), and steps away from the beach. In fact, the only thing separating our apartment from the sand was PCH, and a row of homes. Like the other, it was beautiful on the inside, but also stripped the Lotus of a garage and now stripped my Scion of any parking spot at all. It increased my commute to both offices, while keeping Mike’s the same, and we had no laundry unit, nor did we have much closet space. There was also the tiny problem that our furniture did not fit in this studio, and we would have to hang our guitars on the walls to save enough floor space for the couch. I think our bed literally has to sit next to half of our dining table (because the other half of it won’t fit either). Part of me was actually looking forward to sizing down this much, since I have been talking to Mike about tiny homes for a while, and I wanted the challenge of really practicing resourcefulness and mindful living. I don’t know what it is about tiny apartment living that seems so glamorous to me, perhaps because Reading My Tea Leaves makes it looks so easy and fun. We went so far as to look at both places and submitting our applications. It wasn’t until we got the offer for the first space (the beach apartment), and then the second space (the loft), that I started to get cold feet. Maybe I was already over-stressed to the point that I could not make a decision. The poor real estate agents, we gave them a run around with our “yes, no, yes, no” answers to their offers. I must have seemed like a crazy lady, not making up my mind like that, and poor Mike had to be dragged down with me. Mike was my saving grace throughout this whole process. His only requirement was a garage for his car and motorcycles, and I got him two places without garages and hardly space for both vehicles. But he was on board with trying either space, if it meant making me happy, or otherwise, stopping me from my stressful constant obsessive search for the ideal house. All he wanted for me was inner peace. But when it came to decision time, the stress got worse. He coaxed me into trying to figure out what I liked about each space, and what I did not like. I had a lot of fear that once I moved into the tiny apartment, I would learn that space is more valuable to us than I thought, and it would put a strain on our relationship (introverts unite!). Or that moving into a (possibly) less safe neighborhood could put his other love-of-his-life, Elise (car), in danger. He helped me realize that my fear of regretting the move is an indication that the move is just not right. Compromise was needed if we moved into either home. A hundred percent happiness could be achieved by staying. My mind was continually telling me to move, but something deep down in my chest (my heart perhaps?) was pounding on the walls and screaming no. On the inside, I felt like a two year old toddler throwing a fit, wanting one thing but resisting. Like I said, Mike was my saving grace. He said, “I will move for you, if it means you will have internal peace.” It was then that I realized that Mike did not want to move, and perhaps, neither did I. Maybe it was life’s way of reminding me that sometimes, you just have to let it go. Control freak as I am, I get carried away trying to shape my life course towards one direction, instead of just letting it tread its course the way it was meant to. So, we decided to stay. Giving up happiness was not worth gaining a year and a half of financial freedom. And back I go towards practicing minimalism. And practicing letting go. The problem with financial independence is that money is at the forefront of the conversation. And as I started to state at the beginning of this post, money is a tricky thing. But minimalism, I can do. Instead of money, it puts happiness at the forefront of the conversation. It focuses on what brings your life meaning and joy. It may not give you financial freedom as early as you would like, but it frees you from being tied to money, even if you are still tied to money. And that type of freedom, money just can’t buy. Call me a failure at being financially independent. Mister Money Mustache will laugh at my face if he ever gets the chance to. Call me fearful of trying tiny living, though I may accept the challenge one day, for it still has a little glamour in my eyes. Call me a faux minimalist, call me whatever label you want, including happy and content to live here another six months more. So here we are, one step forward and two steps back. Letting go of financial freedom for a few more years, and letting go of trying to control life. Trying to pursue love and happiness. Onwards. Posted on November 1, 2017 November 29, 2017 by cordeliabyrantPosted in Life, MinimalismTagged debt, financial independence, letgo, lettinggo, materialism, mindfulness, Minimalism, minimalist, money, reading my tea leaves, Simple Life, simple living, student debt.